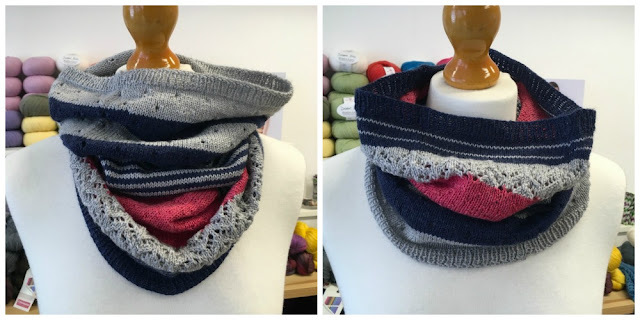 The Woolly Brew: A perfect holiday knit... new shop sample! A perfect holiday knit... new shop sample! This is our version of Joji Locatelli's 3-color cashmere cowl. A narrow cowl with eyelets, stripes, purl bumps and lace. It's knitted in 4ply at a loose tension so it's lightweight and drapey. We've used the fabulous Socks Yeah! in Benitoite, Danburite, Ruby. folded into itself - great effect and very squishy. once you cast off, and sorted your ends, you can wear it. Although it does benefit from a gentle wash and a flat drying! 50g hanks, so you're not breaking into 100g hanks of 4ply. And although you'll have some leftovers - they'll be perfect for heels and toes on socks. there are 16 shades to choose from. 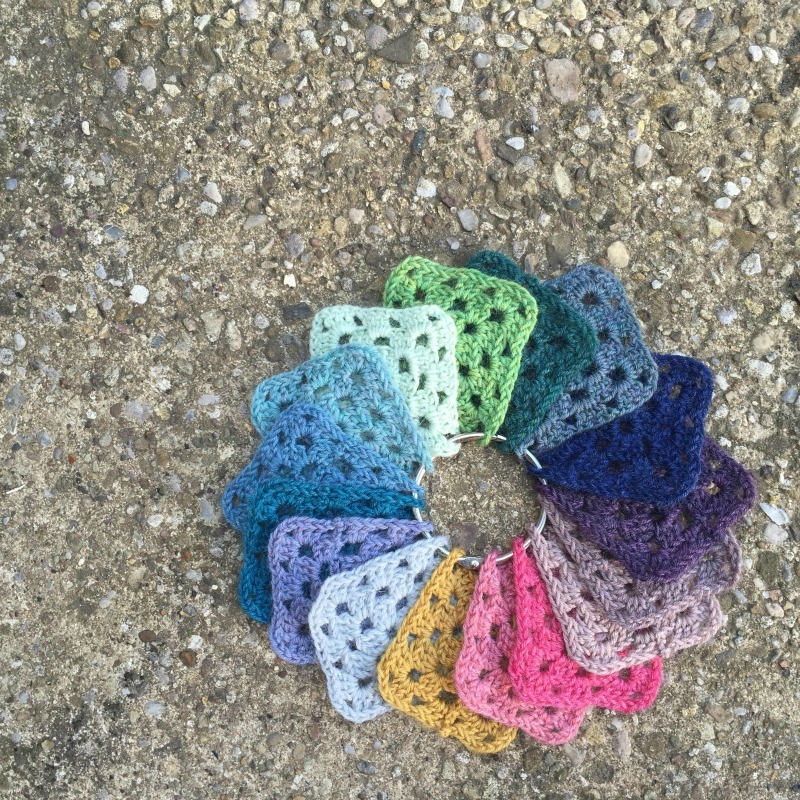 You can be bold, subtle, bright, dark, pastel... or indeed knit it all in one colour! 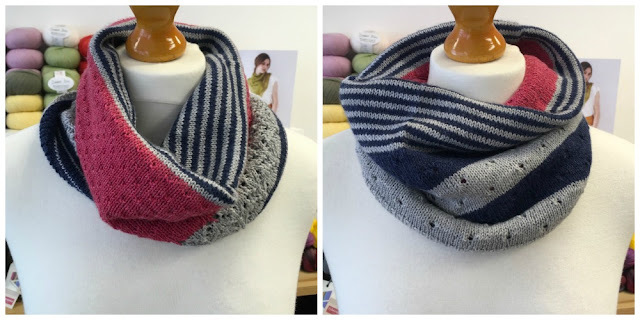 The cowl is in the shop, and the pattern is available to buy on Ravelry... oh and we have all 16 shades of Socks Yeah! in the shop! You can see our project page on Ravelry here.